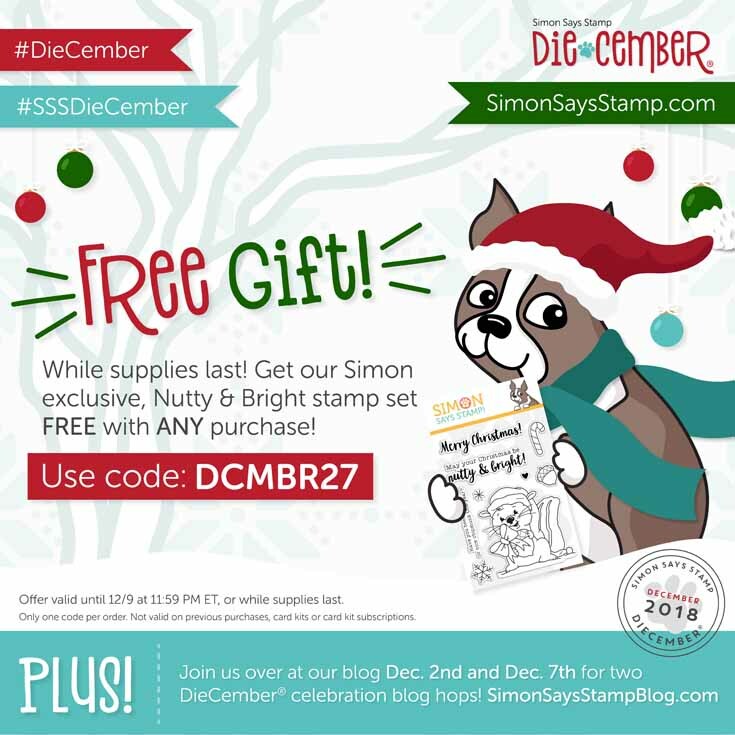 Welcome to the Simon Says Stamp Diecember Blog Hop! I am so excited to be joining these amazing ladies for today's hop. There are lots of new dies for Diecemeber so head on over to Simon and check them out....but first, I have 3 clean and simple projects to share! To create this card, I die cut the otter out of Kraft and then again out of white. I used Copic markers to color the eyes, the nose. I pieced it all together and then popped it all up on foam tape on a plaid patterned paper lined card base. I added in a little pink envelope and a note inside with the Hugs sentiment from the Best Hugs set from Simon. Last, I a little heart die from the Mini Heart Die set. After diecuttng the banners, I lined them up and added each panel to the card front with foam tape. 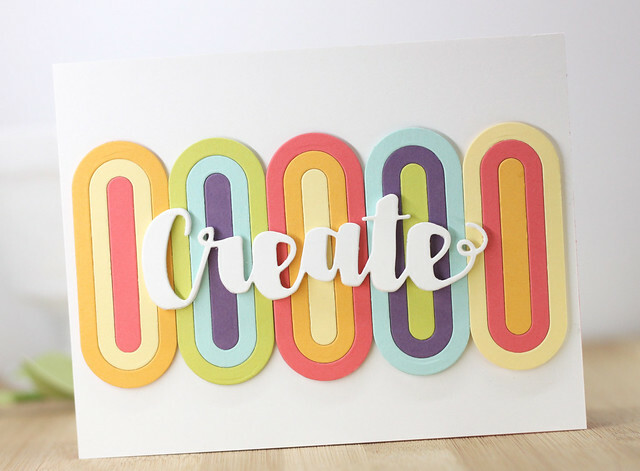 I die cut the "create" sentiment from fun foam and white card stock to add the simple sentiment on the front. I think this card would be perfect for a crafty friend! I die cut the Wrought Iron Border Die out of 110 lb card stock. I cut the outside border off so just the decorative inside shows through on the embossing. This is so easy to do but adhering the die cut to the inside of the envelope flap and then running it through with your die cut machine with the embossing pad and a few shims of card stock. I have a video I did awhile back and you can see it HERE. Click HERE to see the entire Simon Says Diecember Release. So many awesome dies for your collection! 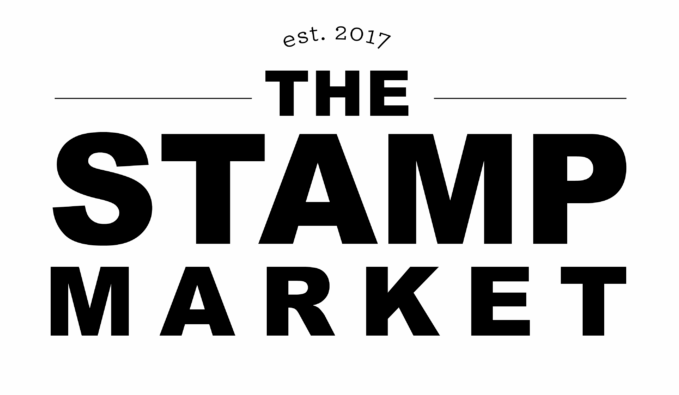 Simon is giving away a $25 gift certificate at every stop on the hop so don't forget to leave a comment below. They will announce the winners on the SSS Blog on 12/12. Good luck! I am so glad you stopped in today! I hope you have enjoyed my projects. Enjoy the rest of the hop! Cute cards,thanks for the chance to win and sharing. Happy DieCember. Thanks for sharing. LOVE your Nested Banner Die background. So colorful and very clever! Wow lovely cards, I really love your create card and that bright banner and Love the embossing on your envelope flap. what a fun idea, I am definitely trying that this year on my Christmas cards!! love that otter cute die! So cute! Love the cute otter and the colorful create card! Your otter card is just the sweetest thing! 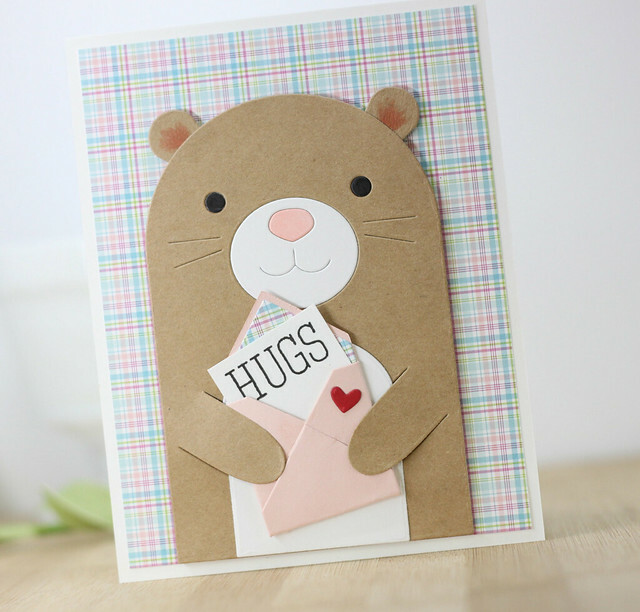 All the hearts for your adorable otter...and pairing him with the plaid background? I can't even! Cute to the nth degree! Love your cards. That otter is too cute. But I love how you used the banner dies. So colorful, very clever use of the dies. Thanks for sharing and inspiring. That nested banner card is amazing! It’s got me looking at my dies to see how I can reuse them! I love the critter dies so much! What a cute little otter! Your cards are so nice, Laurie! And, embossing the envelope is something I have been doing for quite some time; the die you used for yours is perfect. The create card really speaks to me. Thanks for the beautiful ideas. So inspiring. The otter is just too cute and I love the envelope. Way to think outside the box with the nested banner dies! Love your cards!! My favorite is your colorful card using the banner dies!! the creative use of the banner dies is great. Great cards and I love the envelope!! The otter card is so cute! The banner die card is amazing. The idea for the envelope flap is amazing. I love how you showcased some of the new dies...especially your embossed envelope! Beautiful cards, Laurie! Great card! Giving me some inspiration and a hankering to go shopping! Beautiful cards! I love the adorable critter and the creative use of banner dies! Soooo Otterly CUTE!!! Love your cards, great designs! 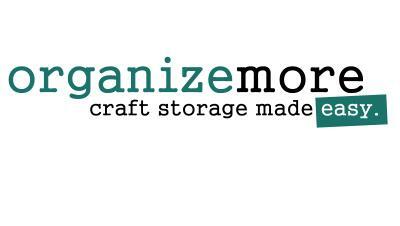 The little otter is adorable and I love the way you used those nested banner dies - brilliant! Great cards - the otter is adorable and I LOVE the colourful background with the nested banner die! Creative. The bunny is precious. Like what you did for the envelope flap. I mistakedly typed bunny & meant Otter. What a clever way of using the nested banner dies!! Oh my goodness--the banner die card is over the top creative & fun! Love the create card. Just grabs you. Beautiful cards! Love this new release!!! Love all of the new dies and what you created! your create card is very eye catching! I love your bear card! That first card would be perfect for Valentine's day, so cute! These are great ideas! I can't wait to try the with the banner and wrought iron dies I bought! Your otter looks so cute with the soft colors, and sweet pattern. NICE job. Well, the cards (of course!) are fabulous, but I just love that envelope! I love all the die's in this release, and all the animals are so cute. I really like how they can hold different objects. So adorable. Your card is fantastic. This Otter is my favorite and I love your card featuring him! I love the otter card. So cute. Love how you used the sentiment dies for something other than sentiments. Love having multiple uses for different products. Thanks for the idea. Also really like your cards. You did a spectacular job with those colorful ovals! Love that card! Great designs! Thank you for sharing! OMG , I've just drooled over your amazing creations on the latest BAS hop with Altenew & now you've blown me away with all these fantastic designs, you're work is awesome. Wow!!! Awesome cards!! I love how you used the banner dies!! Awesome cards. Love the new release. Love how the otter holds a card! Thanks for sharing. Your Create card is beautiful but your otter card is my very favorite from the entire hop! This is DARLING! I totally have a friend who would LOVE this card! Simply unbelievable! Oh my goodness! What an adorable Valentine that Otter card of yours would make! I like the colorful Create card, too! You're the first I've seen to use the wrought iron border die, and that one is my favorite in the release! Such pretty cards. Thx for sharing your talent. LOve the otter. I was glad to see you use the banner die. It looks so interesting and I do love how you used it. Perfect for a crafty friend. The otter card is super cute but I really LOVE what you did with the nested banners! Wonderful cards. Love the brightness of the second one. Thank you for sharing. that otter is really cute. Love your colors on the celebrate card! Can't tell if the first comment I made went through?! The otter is adorable and the celebrate card so colorful and fun! All of these guys are so cute. I enjoy seeing the different take each of you have used on using these dies. 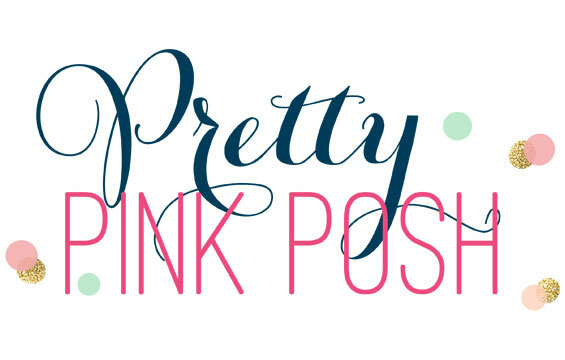 So many inspirational posts with this blog hop. Thank you. Love your cards. The ‘create’ card is clever in the use of the dies. Love these Laurie, especially the rainbow card using the Nested Banners, so clever. Great cards. This otter is adorable and I love how you used the banner dies and created a fun pattern. Adorable otter! I’m loving the Storybook collection and how you used it! Such a creative way to use the stacked banners. Love it! Always love your cards and today is no exception! Thank you for sharing! Your cards are so unique, different and eye catching. Great work! gotta try that technique on some envelopes. fun designs!! Creative, cute and clever use of these dies! Thanks for the inspiration! Especially love the embossed envelop flap. What a nice touch. Loved your cards. Thanks for sharing. Love your otter card & the otter in general! Cool idea for the envelope too. Thanks for sharing. Very cute!!!! I love the Otter die. Super cute cards, Laurie. Thanks for sharing! Such creative ideas for using these dies, love it! The otter is especially sweet! LOVE that otter die! I really dig the nesting die card too, bright and happy!! So cute! Love the way you did for the banners! Gorgeous cards - your otter is so sweet!! very cute - the story book dies are such fun! Adorable cards with some very unique ideas. Thank you for sharing. Oh gosh. Now I need the otter! LOVE your card! Great idea to layer the banner diecuts with different colours. So bright and cheerful. I never would have thought of that one. These are so awesome. What a cute Valentine the Otter card would be! I like how you used the banners as a focal point. The embossed envelope flap is beautiful. Very beautiful cards! Love the cute otter on the first card. The plaid background is also really pretty. And I love the candy colours of the second. Very clever way of using the dies. Wow! Mind blown with the use of the banner dies! Your creativity is amazing! SQUEAL!! Such BEAUTIFUL Projects!! I LOVE them!! THANKS for sharing and have a FABULOUS WEEK!! Beautiful cards and envelop! Love your techniques with the die cuts. I'm in love with the otter. I don't know how it could be any cuter. I love the pastel plaid, perfect for a young girl. What an amazing release of dies! Oh dear, what to choose? :) Your cards are lovely! Love what you did with the nested banner dies. I love the otter!! He is adorable!! When I first scrolled down on my tablet, I thought the nest dies were surfboards!! They were so cute!! Love the envelope, very nice!! So cute! I love otters and would happily take hugs from this one! I love the plaid paper you used as the envelope liner! Very clever use of the label dies Lauren ! Great cards--just love the cute otter! Great cards and envelope!! I love what you did with the Nested Banners! Great cards! I love the way you used the banner die. Thanks! Gorgeous Laura, I love your otter, so very cute. The idea with the tags is awesome, I can imagine myself making such a card for a man, always looking for idea for them. Thank you so much for showing. Adorable otter!! Love your colorful Create card! very creative. Love the embossed envelope. Great projects. Your first card with the otter is darling! The first card is "otterly" adorable and the second is very creative & fun. I also really like the idea of embossing the envelope flaps. I will try to watch your video to learn more about how to do this; thanks for including the link. Ooooo... that Wrought Iron Border on the envelope!!! And that cute bear! Great cards! Love how you created the envelope! Swoon! I love these cards and you have a great sense of color! Your cards are absolutely stunning...as always!! Have a great day! Terrific cards. The otter is adorable! Your envelope flap looks terrific. Your use of the banner dies was very creative. To me they look like multi-colored paper clips. Thanks for the inspiration. Love that cute otter! And a beautiful design for your envelope! These are lovely, thanks so much for your sweet inspiration! That otter is just so cute! I love him on the plaid, and the way you used those banners, such a great retro feel! The otter is adorable and I love the banner. So clever! TFS! Two fantastic cards- the otter is adorable and the banner background is so striking and very clever. Never saw such a cute otter before. Fantastic cards! 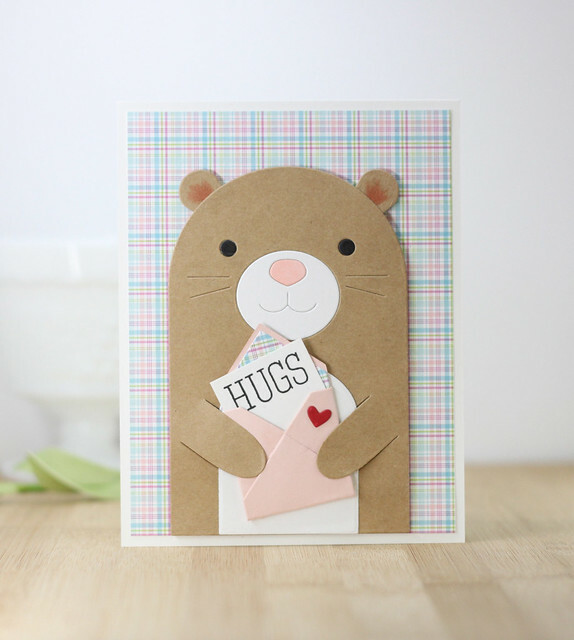 I love the hugs card - so adorable! So happy to see your creations on this hop...love them all! Both cards are so cute! I love the "create" card! Love your creations....Happy Die-cember and thanks for sharing. Oh, that Hugs card with the otter is so cute! I love the little note and envelope that he's holding, and how you lined the envelope with the same patterned paper as the background. Thanks for sharing your wonderful and creative ideas! That otter is just too cute. I love the detailing you added, especially the little happy mail envelope. And what a great way to turn the banner dies into a patterned element. I love seeing dies used in unintended ways. 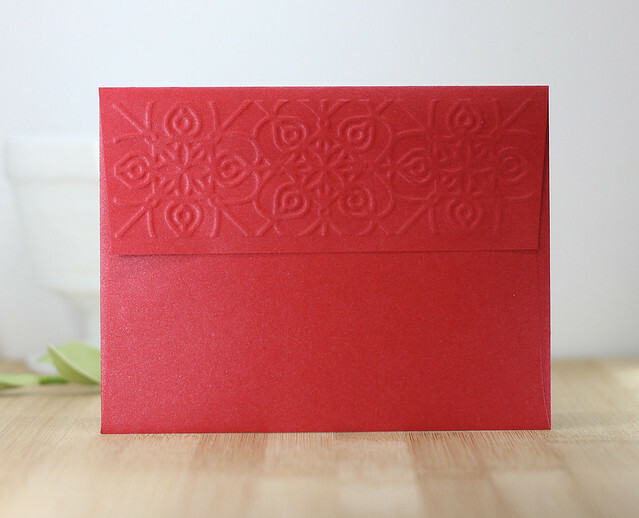 Speaking of, the envelope flap looks amazing with the wrought iron embossing. So many fabulous ideas; thanks for sharing them with us! Simplicity can be very stunning! 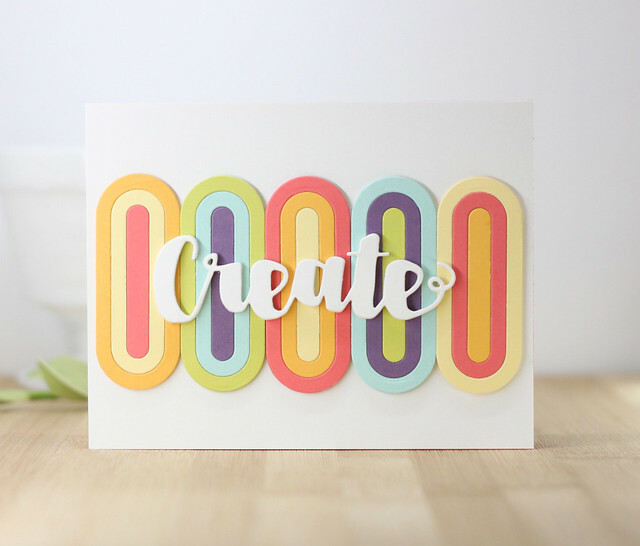 Love the "create" card and the cheery colours! Great use of the banner dies for it! Thanks or sharing! Very nice cards! That otter is too cute! Great inspiration! Love the colorful create card! So cute!!! And I LOVE how you have used the banner die on the second card! Love the cards, the idea to emboss the envelope using the dies is genius. So adorable! Love the envelope in the otter's hand. Oh my love the tip for embossing envelope Thanks ! Your Otter card is so adorable, love the plaid background... it's amazing how you can get so many special looks with one die ( you girls have shown a variety of otters ); and various techniques and papers ... all so fun ! Fabulous creations!! I LOVE that adorable otter with his little love note!